This year in 8th grade literature is referred to as the Year of Death in my house. My older son went through it three years ago and still talks about it. He had to survive reading Tuesdays With Morrie, The Little Prince by Antoine de Saint-Exupéry, The Glory Field by Walter Dean Myers, Night by Elie Wiesel, and Romeo and Juliet by you-know-who. This September, the recommended book to read for fun is Dorothy Must Die by Danielle Paige (who took Judy Garland’s birth name for the narrator), a violent book that many people have enjoyed despite the blood and gore. My son won’t touch it. I have put a lot of effort into finding books for my boys to read. Reading is in direct competition with video games, so it’s important to have a book going all the time, too. The older one has enjoyed Gary Paulsen, Rick Riordan, J.K. Rowling, and lots of other pretty normal boy books. He also enjoyed Great Expectations, which I made him read two summers ago when I realized the school district did not have any Dickens in its curriculum. But my younger son has been a special kind of challenge. He liked The Giver but didn’t like the sequel. He liked The Lightning Thief but none of the others. He has refused to try the Harry Potter and Narnia books. I begged him to read Susan Cooper’s Over Sea, Under Stone, but I was rejected. He liked several of Margaret Peterson Haddix’s books, but he seems to have outgrown them. Of course he has enjoyed the Diary of a Wimpy Kid and Big Nate books, but he’s outgrowing those, too. I have brought home stacks of books taken from recommended lists by our library, Goodreads, Guys Read, all great sources, only to have him choose only one book that sounds okay. Then he’ll read about a third of it before he gives up. This happened with A Wrinkle in Time and several other great books. I have been horrified about this for months. I am happy to say that he loves nonfiction astronomy and cosmology books. He has read several books by Neil deGrasse Tyson, including Death by Black Hole a couple of times and currently Space Chronicles. He reads Astronomy magazine. When I emailed his teachers to ask them why he doesn’t read fiction, they told me he reads and understands well but doesn’t like a lot of books. Now, can I just say that the 8th grade reading list is not helping instill a love of books? Miraculously, I recently handed him a book that he likes and is reading on his own. I couldn’t believe it when I first caught him reading it. He is two-thirds of the way through it, and I’m pretty sure he’s going to finish. And the winner is . . . THE PHANTOM TOLLBOOTH by Norton Juster!! Now for some books we do love! Let me know what you think! Any other book ideas? BREAKING NEWS! Roald Dahl just published a new chapter of Charlie and the Chocolate Factory! No, really, the original Chapter 5, “The Vanilla Fudge Room,” was just published by The Guardian on August 29th. It’s an early chapter that was rejected as too subversive for innocent British children. For those of us who try to write children’s literature, what a treat! I was thrilled to see that I am not the only person who futzes around with character names. Futzing is one of my favorite write-y things to do, for characters and flavors and places and everything else. Veruca Salt’s original name was Elvira Entwhistle. Violet Beauregarde was Violet Strabismus. (Strabismus is an eye disorder in which the eyes cross. Was Violet cross-eyed? What was Dahl thinking there?) Augustus Gloop used to be Augustus Pottle. And the factory workers are just workers. They turned into Oompa Loompas in a later version. I was also very interested to note that Mr. Dahl dealt with a common problem for a lot of us writers: too many characters. He originally had eight children with Charlie, and later the cast was cut to just four. I hope you will take the time to read Lucy Mangan’s wonderful article, “Charlie and the Chocolate Factory at 50,” also published in The Guardian on August 29th. She discusses the development of the book from early drafts to the final draft, thanks to the encouragement Dahl received to let his imagination really fly. She also gives us a few paragraphs on the history of the children’s literature industry, complete with the very conservative Anglophile establishment, the original African Oompa Loompas, and framing Charlie as a fairy tale at its most elemental. Mangan is publishing a book called Inside Charlie’s Chocolate Factory: The Complete Story of Willy Wonka, the Golden Ticket, and Roald Dahl’s Most Famous Creation, available on September 9th. Read the sweet, fudgy lost chapter and enjoy the delicious illustrations by Quentin Blake! I have decided to change my reblog name to BlogShare because often what I share is not from a blog post. 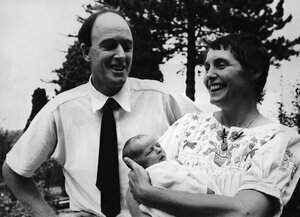 I hope you enjoy this wonderful interview with Roald Dahl’s daughter Lucy. Did you know he wrote Chitty Chitty Bang Bang or that he adapted Ian Fleming’s novel You Only Live Twice for the movie screen? Correction Nov. 14, 2013: Previous audio and Web versions of this story incorrectly referred to Roald Dahl as being English. 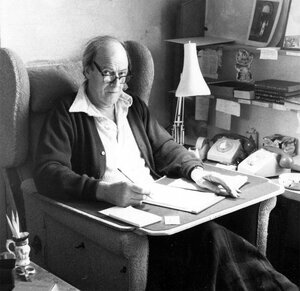 Dahl was Welsh. That bedtime story became Dahl’s first children’s book, James and the Giant Peach. Lucy Dahl — the youngest of Dahl’s five children with his first wife, American actress Patricia Neal — remembers hearing those stories before she fell asleep. She joins Michele Norris to talk about Matilda, this month’s pick for NPR’s Backseat Book Club. It’s the story of a lonely girl with special powers and neglectful parents. 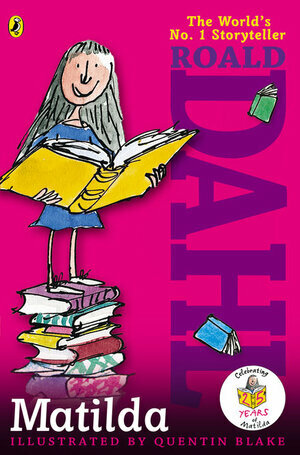 Matilda finds her courage facing off with a bully of a headmistress, named Miss Trunchbull. Matilda was one of the most difficult books for him to write. I think that there was a deep genuine fear within his heart that books were going to go away and he wanted to write about it. My father was really very much a single dad. My mother was in America working throughout most of our childhood. He wrote for the money — he didn’t hide that. 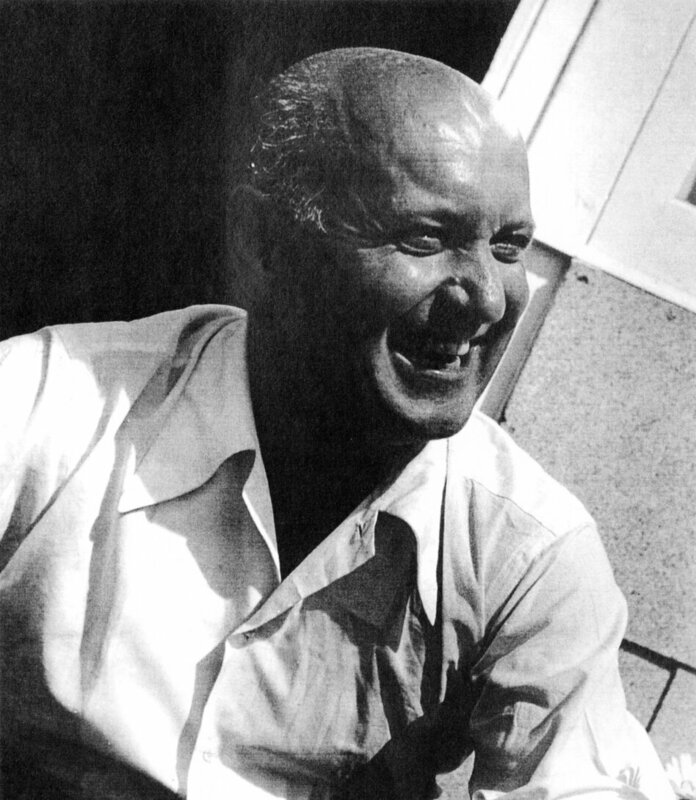 He also wrote screenplays and he hated writing screenplays, but he did it because the money was good. He wrote Chitty [Chitty] Bang Bang. He adapted Ian Fleming’s [James Bond] novel … You Only Live Twice. I remember waking up in the night and going to the bathroom and seeing the glow of the light in the little [writing] hut while it was still dark outside. I don’t know what time it was but that was during the days when he was adapting screenplays and the deadlines would kill him. He didn’t like working on deadlines. But he did it because he had to. His hut was a sacred place. … We were all allowed to go in there, but we only disturbed him when we absolutely needed to because he used to say that his hut was his nest. You would walk in and the smells were so familiar — that very old paper from filing cabinets. And he sat in his mother’s old armchair and then put his feet up on an old leather trunk, and then on top of that he would get into an old down sleeping bag that he would put his legs into to keep him warm. Today I want to feature a gorgeous self-published book that I really wish I’d written myself…. Darcy Pattison and Kitty Harvill‘s Wisdom, the Midway Albatross. It’s exactly the kind of book I love to read, a biography that paints a bigger, clearer picture of the world we live in. Resources: There are many sources for further reading and study listed at the end of the book, including Save the Albatross: A Global Campaign by BirdLife International and the North American Bird Banding Laboratory. I found a good explanation of tsunamis for kids with graphics and a video. 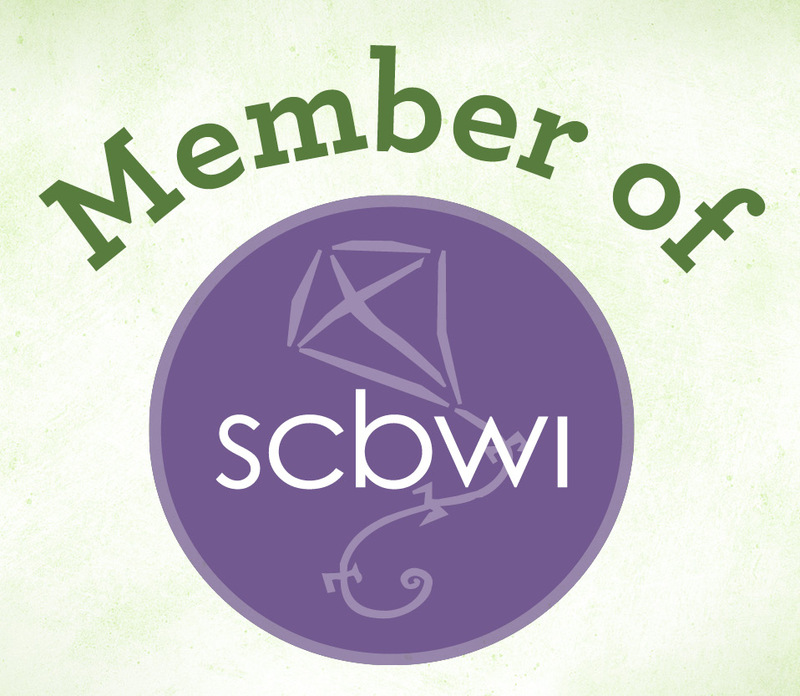 There is information about plastic pollution at the Plastic Pollution Coalition. I also think it would be interesting to start a discussion about events that other animals or people may witness or survive over a lifetime (for example, we know a lot of people who were born before or during World War II and have seen a lot since then), which can provide a framework for looking at history. The books about Owen and Mzee tell the story of an animal friendship that formed after Owen, a baby hippo, was stranded and orphaned after the tsunami of 2004. I want to share a wonderful interview of John Bemelmans Marciano from National Public Radio’s Morning Edition. 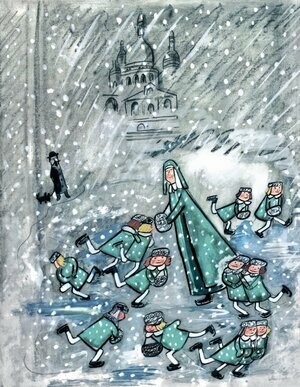 Next year is the 75th birthday of the first Madeline book by Ludwig Bemelmans, loved by children everywhere. Four new Madeline books have been created by Marciano, Bemelmans’s youngest grandson, who has also written a gorgeously illustrated biography of his grandfather and the board book Madeline Loves Animals. One commenter on the NPR article page wrote, “Bemelmans fans may want to visit his murals at the Carlyle Hotel in New York, where he painted scenes of Central Park in exchange for lodging for himself and his family.” Has anyone been to Bemelmans Bar at the Carlyle and seen these murals or the painted lampshades? I am going for a drink on my next trip to New York! Another commenter wrote, “Ludwig Bemelmans lived in Shoreham, NY for a time and the school from the story was based on Briarcliff Elementary School (the exterior of the school and his illustrations are are a delightful match), a school right around the corner from his house. The school still exists today as a wonderful public community school and is of a French architectural design.” Has anyone seen the school? Enjoy this illustrated interview article or listen to the story yourself! Madeline may be about to celebrate her 75th birthday next year, but the beloved little girl never seems to grow up. After more than seven decades she’s still having adventures donned in her coat and big yellow hat with a ribbon down the back. Today, Bemelmans’ grandson carries on the colorful, rhyming legacy. 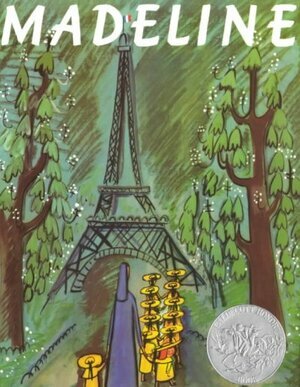 John Bemelmans Marciano has written and illustrated books like Madeline and the Cats of Rome, Madeline at the White House, Madeline’s Tea Party and his latest, Madeline and the Old House in Paris. That image of the tiger really sticks with young readers. “It’s incredible how many kids know that specific line and that specific image,” Marciano says. Over the years there have been some misconceptions about Madeline and the people who inhabit her world. 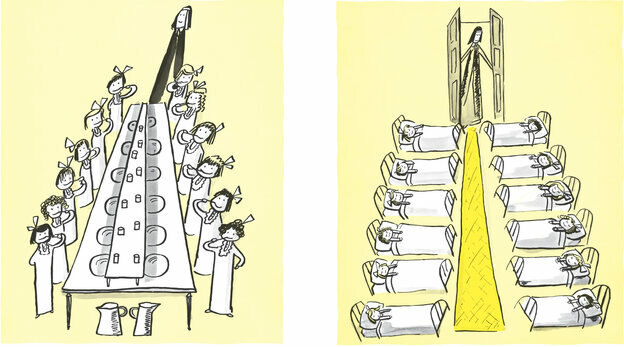 Many readers assume that Madeline lives in an orphanage, and that her teacher, Miss Clavel — who wears a headpiece — is a nun. In fact, young Madeline attends boarding school — which probably didn’t stick out to Madeline’s original readers — but seems more surprising today. Still, part of the appeal of the books is the sense that Madeline takes care of herself. There was no one model for Madeline, but all the women in Bemelmans’ life — including his wife, his daughter, and his mother — may have played a role in shaping the spunky character. 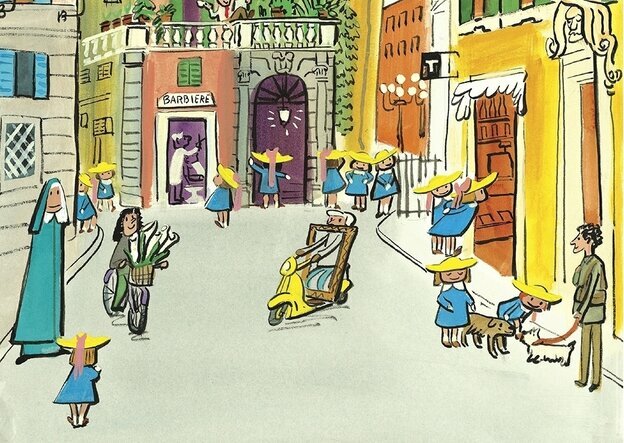 Bemelmans’ wife was named Madeleine, but “that doesn’t rhyme with anything nearly so well as Madeline,” Marciano says. 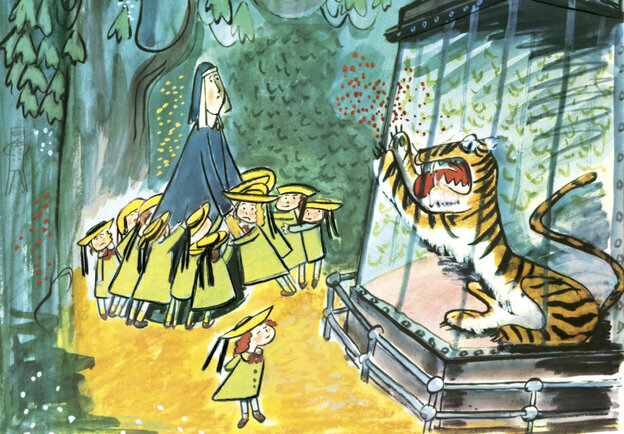 He created an elaborate sketchbook for his daughter (Marciano’s mother) called “Your First Trip to Paris” which depicts a little girl — dressed up exactly like Madeline — visiting the zoo and seeing the sights. Bemelmans’ family relocated several times when he was a child, and English was not his first language. That led to some surprising and delightful rhymes in his Madeline books. Marciano has a daughter of his own now, and says it can be hard to predict which books will be a hit. “One of the hardest things in the world is to figure what is that magic thing that makes kids love a character?” he says. Whatever it is, it’s a magic that Ludwig Bemelmans mastered, and his grandson now carries on for new generations of young readers. A page from John Bemelmans Marciano’s Madeline and the Cats of Rome. I just found out that my favorite childhood book was banned. What I say is Phooey on you banned books people! Pigs can be anything they want to be! I am not the only person who loves Sylvester. 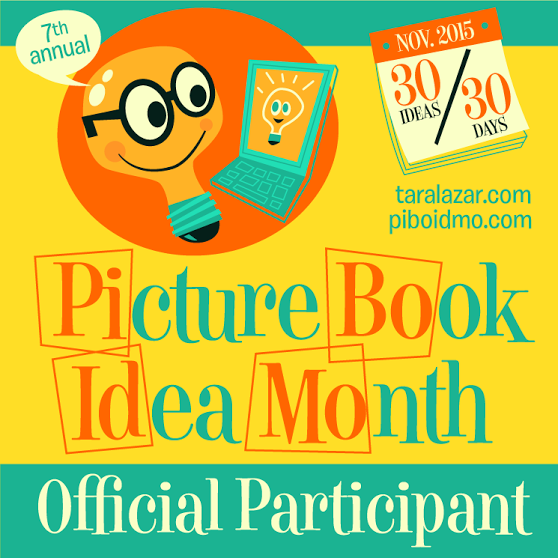 The School Library Journal named it #55 on the Top 100 Picture Books list last year. It was also recognized as one of the top 100 books of the 20th century by the New York Public Library, the California Teachers’ Association, and the National Education Association. Other bloggers have posted about it more knowledgeably than I can. Anyone can find worksheets, activities, lesson plans, and videos. But I don’t believe we have to justify art with curriculum connections. I love Sylvester because it’s a beautiful story with great illustrations. It touched me personally. I don’t love it because it can teach children about philosophy, emotions, character, perspective, and improve their critical thinking. Those things are valuable, but don’t we degrade the art experience by stuffing it with learning objectives? When my son wants to go to a Bon Jovi concert, I don’t require him to write a one-page biography of John Bongiovi with endnotes and create a video exploring the roots of modern rock music from the Delta Blues through the Beatles, focusing on politics and racism. I just let him have fun. Read an essay about Steig’s art from Roz Chast at the Paris Review. You can also check out the New Yorker’s lovely article about William Steig shortly after his death. The Jewish Museum in New York held a retrospective of Steig’s art in 2007-08. If you haven’t had the joy of reading Sylvester, I don’t want to spoil it for you. Suffice it to say there is a reason to discover why it is one of the most beloved children’s books ever written. Do you love Sylvester or another book? I’d love to hear about it!